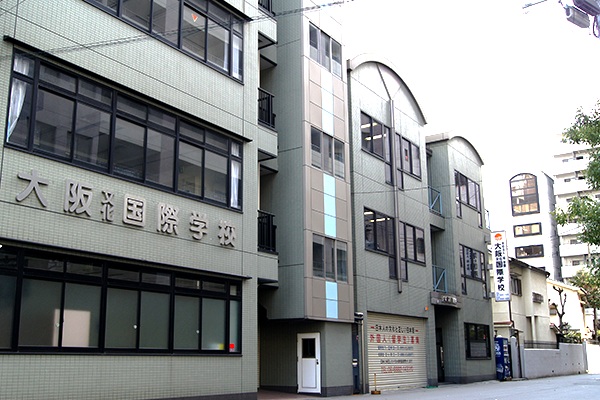 Founded in 1985, Osaka Bunka Kokusai Gakkou or OBKG (previously Osaka International Language School) has a 28-year history of helping students from all over the world reach their goals. We believe in an all-encompassing education and guide our students academically and otherwise to reach their goals, and continue to attend university at the Undergraduate level, Graduate level, or vocational school. Up until now, we have had more than 2,000 students graduate from our school. 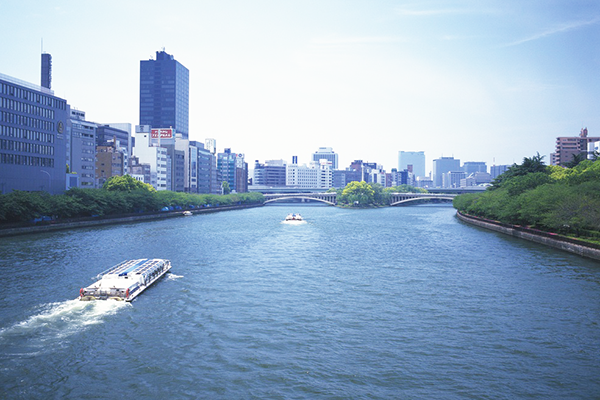 Not only do we conduct lessons for International students to improve their Japanese language skills and understanding of the Japanese culture, we also put in our best efforts to guide them in their daily lives so they can live in Japan with a peace of mind. We have two school buildings (the main building with three floors and an annex with five floors, equipped with an elevator). 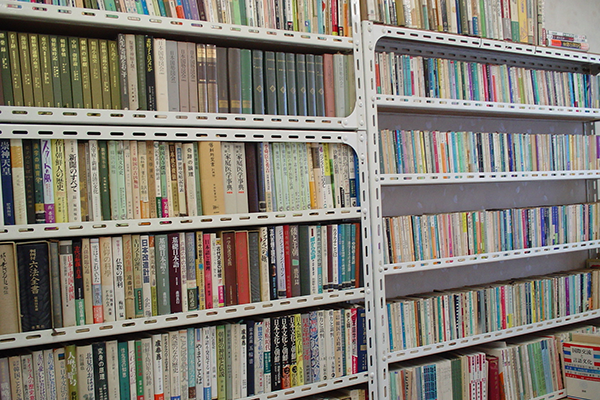 We have a total of 12 classrooms and a reading room with more than 4000 books that can be lent out to students. There are student computers placed outside the staff room, and students are free to use them. Wireless internet can be accessed from anywhere in the school building, and students can bring their personal computers or tablets to access the internet. 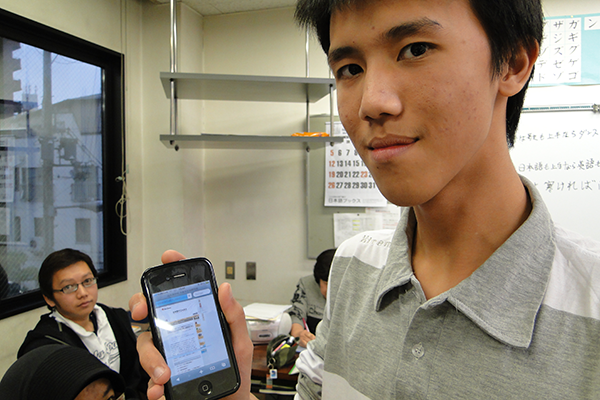 OBKG provides students with daily and financial newspapers. Students in the advanced classes can use them as reference materials during classes on Current Events in Japan, while those preparing for Unversity entrance examination and those applying for work can also use the materials to help them write their application paper. We also provide books on various topics, such as Management, Economics, Sociology, Welfare Studies, Language, Policy Studies and more. 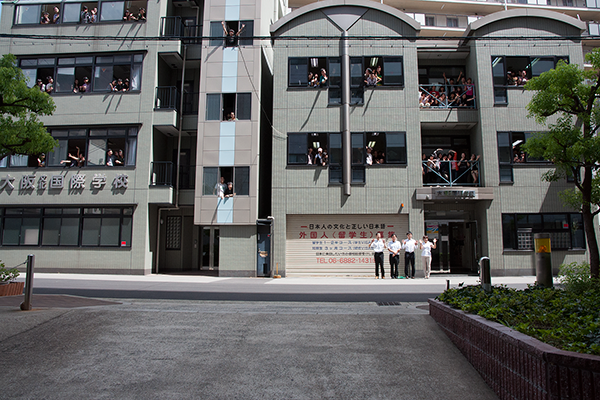 Our school is located 5 minutes away by foot from the JR Tenma Station and the Subway Ogimachi Station, and is in the middle of a residential area, providing a quiet and suitable environment for learning. There are 3 big parks located near the school, where students can relax after studying, take a walk, and have a change of pace. 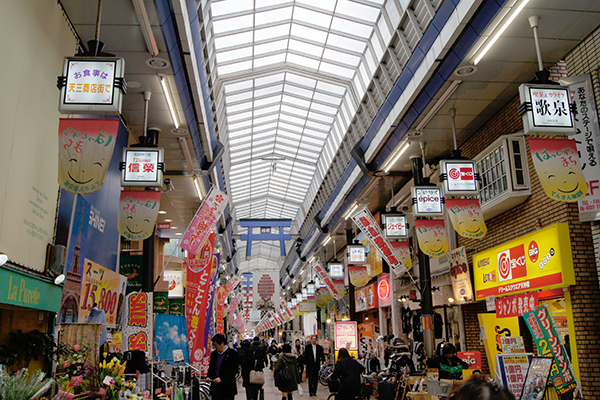 In addition, there is a shopping street that stretches for about 2km located 2 minutes away by foot, with a variety of things to see. 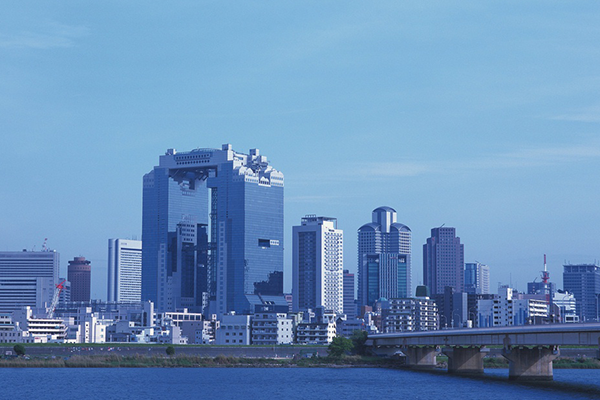 Umeda (the city center) and Osaka JR station are just 15 minutes away by foot. Also, 5 minutes away by foot is Tenmangu, a shrine where one of the 3 biggest Japanese festivals, the Tenjin-matsuri is held every year. 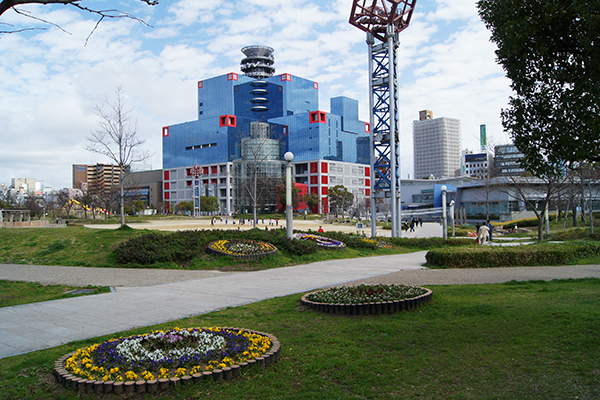 Osaka International School of Culture and Language provides education on the Japanese language and culture to International students who come from all over the world to study in Japan. 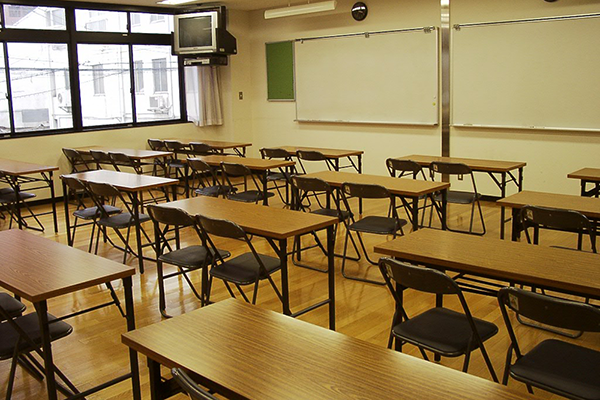 Of course, we do not only provide academic guidance, we also place emphasis on coaching students in their daily lives so they can live in Japan with a peace of mind. At OBKG, we aim to encourage graduates to continue to Japanese universities, graduate schools, vocational schools, and acquire advanced knowledge and skills after graduating. I find the greatest pleasure in seeing our school graduates return to their home countries and succeed in what they do. I felt especially happy when I heard that some of our graduates had set up Japanese language schools, while others had established companies, upon returning home. Founded in 1985, Osaka Bunka Kokusai Gakkou or OBKG (previously Osaka International Language School) has a 28-year history of helping students from all over the world reach their goals. Up until now, we have had more than 2,000 students graduate from our school, and I always look forward to hearing more good news about our graduates’ success. All our staffs and teachers are ready to support you in your learning, and I am sure that the experience of studying abroad in Japan will be a good investment. I also hope you can make many friends with other students who have come to Japan from various countries with the same goal of learning the Japanese language and culture. One-on-one consultation with students to discuss their goals and form a plan to achieve them. To explain things in an easy-to-understand manner, including clarifying the features of each Graduate school, University, and vocational school so as to help students make informed decisions. Japan is known worldwide for its unique culture and advanced technology. Are you interested in Anime? Manga? Robotics? Information and Communication Technology? Nanotechnology or Biotechnology? What do you want to study and what kind of work would you like to do? As a teacher at OBKG, I will put my best efforts to help you achieve your dreams. In addition to having taught the Japanese language in Indonesia for 4 years, and being a teacher at OBKG for 14 years, I have had the experience of helping many students achieve their goals and get into universities, graduate schools, and vocational schools. Now let us work together in creating a bright future in Japan and at OBKG. I am sure you will look back and see that you have made the right decision by coming to Japan. Please take a moment and think about who you will become in a few years. 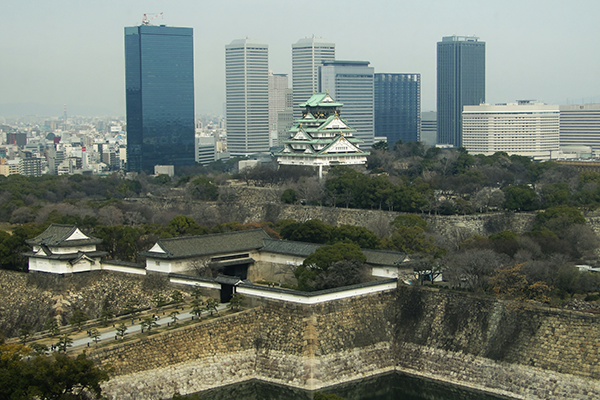 And now, to become that person, why don't you come and study the Japanese language with us? At OBKG, we have various teachers with different personalities: a teacher who are full of enthusiasm, teachers who are tough, teachers who are powerful... and all of them share the same goal of supporting the students so they can make their dreams come true. I hope to meet all of you in our classrooms. I had the experience of studying abroad in America, and can fully understand the worries and concerns that students have while studying in a foreign land. However, I also know that by studying abroad, you will experience things that will make you grow, things you will never experience by staying at home. The Japanese language is made up of words, and people use words to communicate with one another. When you come to Japan, I hope you will live and study hard, and use these words to practice the Japanese language and to communicate. Sometimes we will reprimand you, but it is only because we want to help. Let's do our best together! I have met many International students at OBKG, and they are all very diligent. Amongst them are students who showed more developments than the others, and these are the proactive students. These students examine problems, find solutions, and compare data. They are also often the ones who cooperate with the other students, and the ones who can take on the role of a leader. I hope that all of you who decide to study in Japan can learn and gain knowledge, and at the same time, grow to become proactive people; because the world is seeking for strong leaders. Classes at OBKG always start with a cheerful greeting, followed by overflowing energy and earnestness. Each student at OBKG have their own reasons and objectives for studying here, but all of them share the same passion for achieving them; every day, I see them work hard to reach their goals. As teachers, we always put in our best to guide each student. I hope students will have a better future through their experience of studying in Japan, and when they graduate from OBKG, they will be met with a better self. Let's work hard together and do our best! Teachers at OBKG earnestly help and guide each student. Apart from focusing on their studies, students also have fun and create good memories through participating in events and activities such as Sports Day and going on school trips. You might feel worried about living by yourself in a foreign land, but I am sure it will not take long before you enjoy your new life here! "Why do you want to learn the Japanese language?" To learn a language, one needs to put in a lot of hard work and perseverance; but the effort you put in will only expand your horizons. I will put in my best efforts and work alongside you to achieve your dreams and goals, and I hope that while studying at OBKG, and while experiencing the charm of Japan, you will also realize your potential.